When a buyer wants to purchase a new construction home the builder typically has their own standard contract for the buyer to sign. This document governs the constructions of the home, the buyers’ options including when and how upgrades or modifications can be made and should hopefully provide a clear timeframe for the completion of the home. Timeframes. Does the contract provide definitive timeframes for the commencement and completion of work, and are there penalties for the builder if they do not meet these deadlines? Change Orders. Is there a clear process for making changes to the project? Are the costs and timeframes clearly outlined in the contract? Does the builder have the ability to make changes to materials, fixtures or equipment without the buyer’s consent? Deposits. When are deposits due and under what circumstances, if any, will they be refundable? Draw Schedule. Is the draw schedule clear? Does it provide for payments that are proportional to the work being done? Inspections. Does the contract allow for inspections prior to each draw? Does the contract allow for a final inspection upon completion prior to final payment? Punch List. 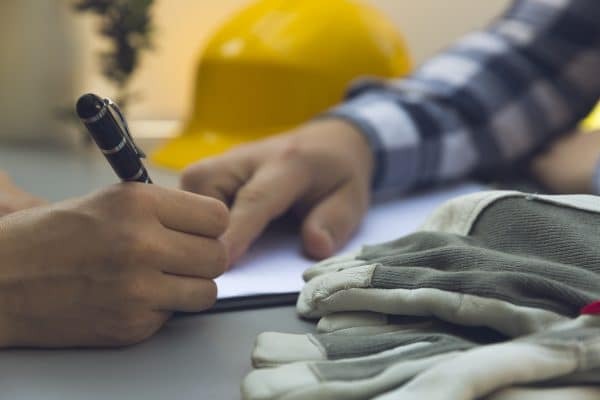 Does the contract address what items would be considered minor items to be included on the punch list, and provide a timeframe for completion of the punch list? Is there an option to hold back a portion of the final payment until all the items have been completed? Lien Waivers. Does the contract require lien waivers as a condition to a draw? Does it also require a final lien waiver at or prior to final payment? Financing. Does the buyer intend to pay cash? Does the contract include a true financing contingency that allows for the buyer to get out of the contract if they are unable to obtain the necessary financing? A qualified real estate attorney can work with a buyer to ensure that the contract protects the buyer’s best interests and can assist in negotiating the various aspects of the complex construction contracts. If you have any questions or concerns, we urge you to consult with your real estate attorney prior to entering into a construction contract.